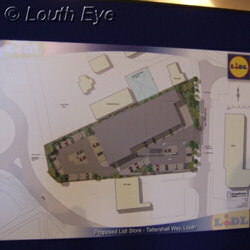 Lidl held a public consultation at the Salvation Army on Church Street, presenting their plans for a new store in Louth. The location in Tattershall Way is at the current site of Louth Tractors Ltd. Should the plans go ahead Louth Tractors will be relocating to another site within Fairfield Industrial Estate. The company is hoping to build a store with 1286 square metres of sales space. According to Lidl representative Jeremy Lee, this would mean a building contract in the region of �1m, to be tendered out to contractors within the UK. So the proposed supermarket would be relatively small, employing around 30 people in total, creating the equivalent of about 20 full-time jobs. The location has good lorry access, because vehicles would not have to cross the town in order to make deliveries. However pedestrian access is more problematic. Between the residential areas and the proposed store lies the busy North Holme Road, where the speed limit is 40mph, and the roundabout and bypass. It's not a friendly place to cross the road. "We would push for a refuge island," said Jeremy Lee. However one of the main benefits of the proposal is a possible reduction in overall traffic as people take fewer trips out of town. Currently the nearest Lidl stores are in Grimsby and Mablethorpe. The company describe themselves as a "limited assortment discounter", which means they can offer lower prices on products because they stock a smaller range of goods. So the store will attract customers searching for value rather than choice. The question is, how many out of town journeys does discount shopping account for? Lidl were taking signatures for a petition in favour of their proposals. 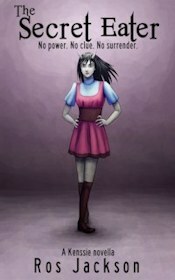 According to their representative, comments from the public had been "99% positive".